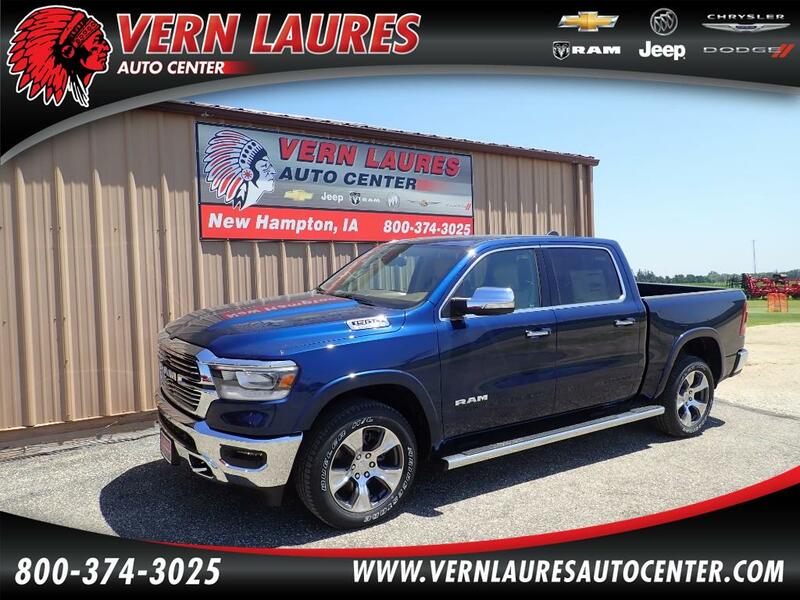 New 2019 Ram 1500 Laramie Crew Cab 4X4. The color is Patriot Blue Pearl with Mountain Brown/Light Frost Beige Interior. It is loaded with options including Heated/Vented Leather, Active Noise Control, 20" Wheels, Heated Second Row, Chrome Appearance Group, Blind Spot Alert, and a Back up Camera. This Truck is loaded up and ready to go!